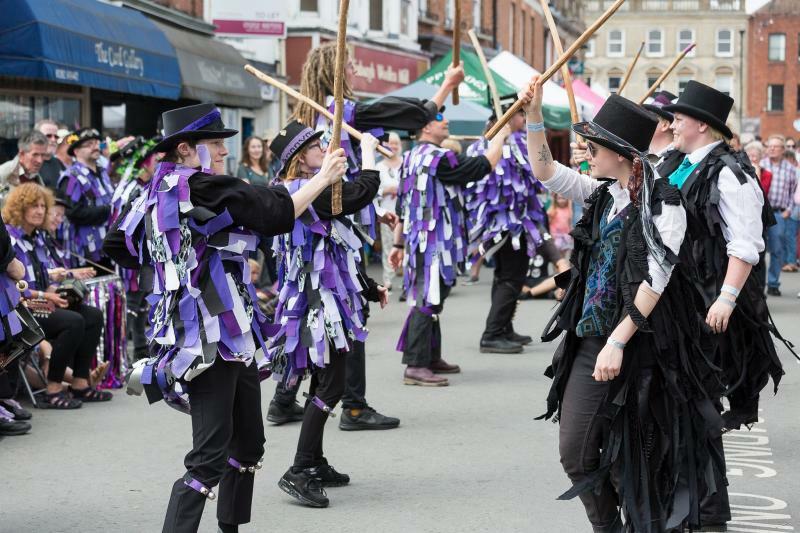 Morris isn't just a single dance style: over its 600 year history it has changed and evolved into several regional traditions. 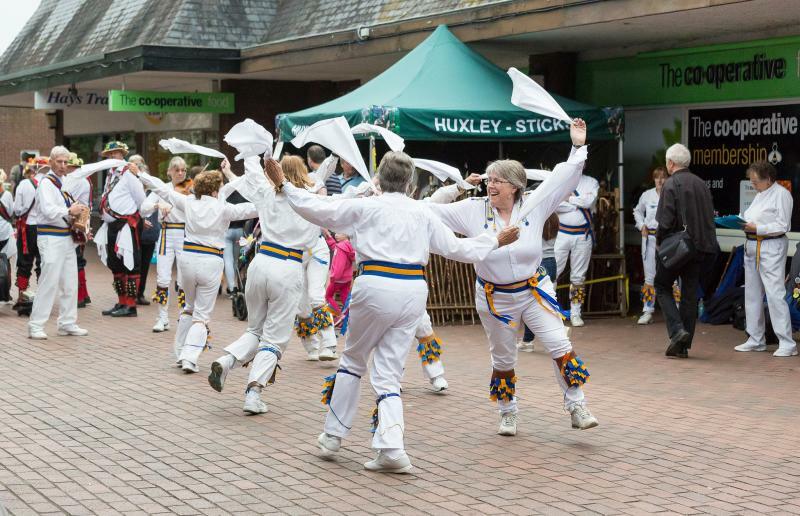 Cotswold has its roots in the south Midlands and is probably what first comes to mind when people think of Morris dancing: men in white trousers and shirts, with hankies and sticks. Because of its complex footwork, Cotswold is probably the most difficult style to learn. 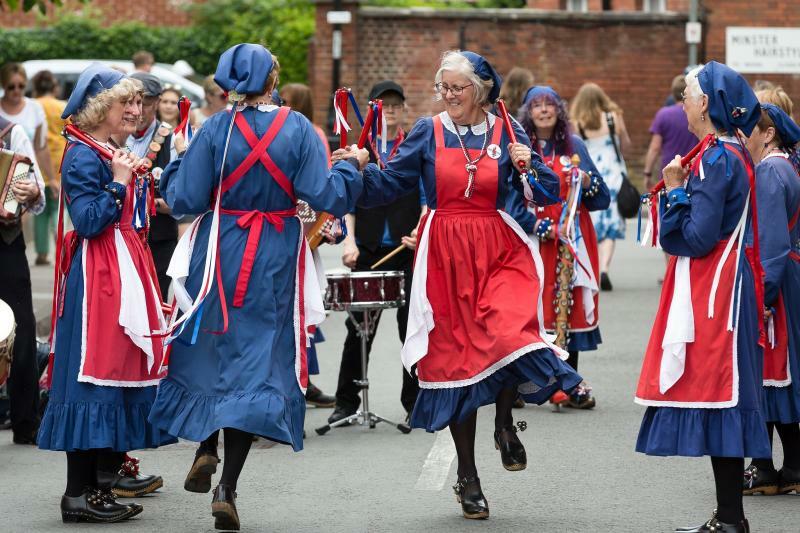 Unlike other forms of morris, North West morris (from the Manchester/Lancashire region) was mainly a processional dance. Firstly in the annual processions that carried rushes for the church floor, later in the processions for Queen Victoria's Jubilee that developed into annual town carnivals. Dancers typically wear clogs. Men often wear black knee breeches and a white shirt with a sash. Decorated hats are popular. Women's teams are more likely to wear a 'mill-girl' style costume. Border Morris began on the English side of the Welsh border as dances done by very low-income workers to raise a bit of money. Dances were very simple and costumes made up of whatever the dancers had to decorate their shirts with. Modern teams almost all wear heavy tatter jackets, a development of the rags and ribbons that used to be pinned to the shirts. Like the jackets, the dances have evolved a lot. Nearly all the Border dances performed have modern choreography, to produce something more interesting and complex than the originals. 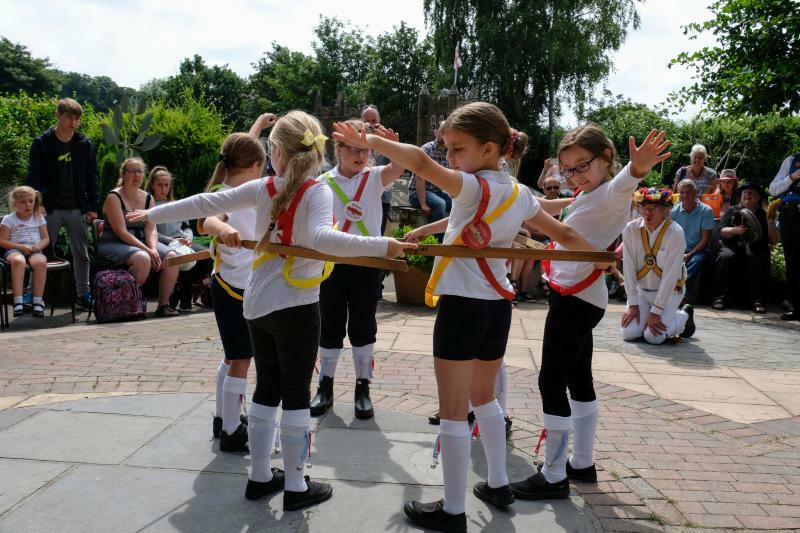 A traditional dance from Yorkshire that uses wooden or metal swords held by the dancers at both ends. At the end, the swords are woven into a pattern, often a six- pointed star. Has no connection to Scottish sword dancing. 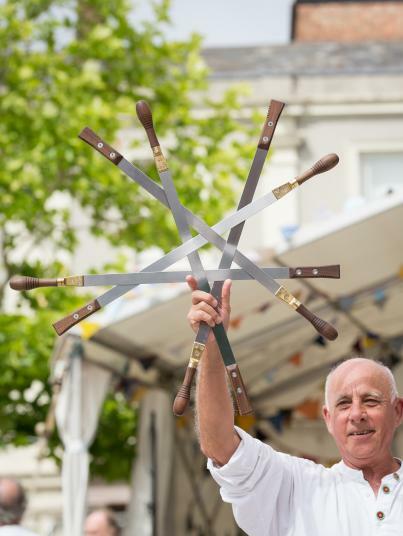 A dance that evolved from longsword when flexible steel came along. Originates in the Northumberland/Durham area, which is still its stronghold today. The swords can be bent without damaging them, and this allows the dancers to get closer together, producing a fast, complex dance. Many of the historical dancers were miners. 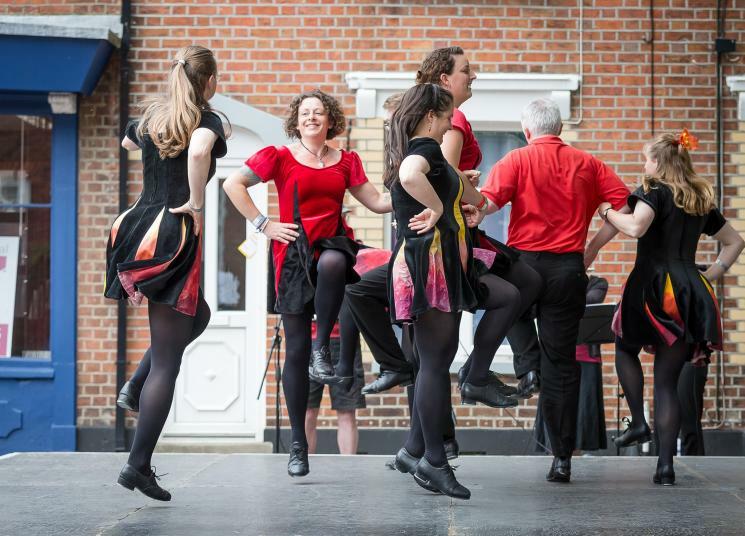 Not 'morris' per se, but a style of high energy step-dancing that originated in the Appalachian mountains in the USA. Usually performed to the music of a string band.